China Meat Association (CMA) and 64 Chinese company members, together with WWF jointly announce the Chinese Sustainable Meat Declaration. 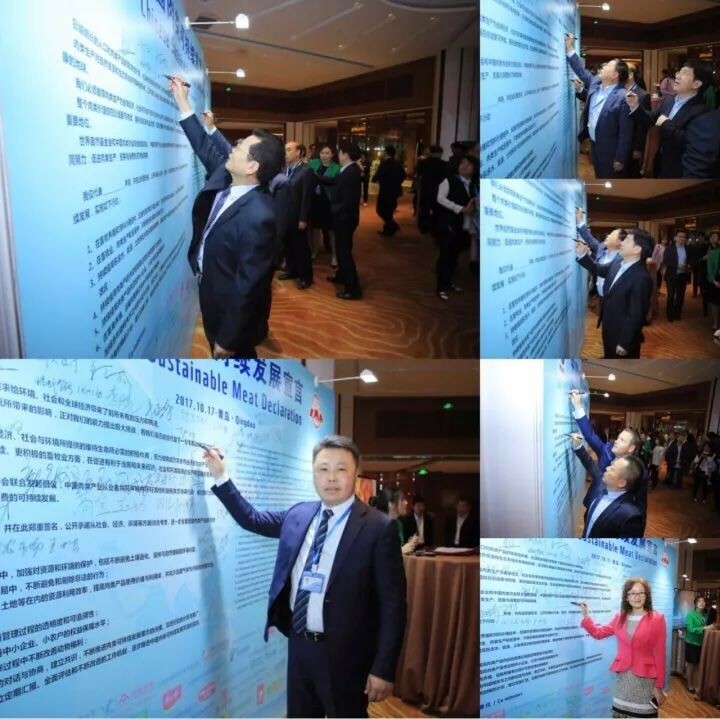 The declaration was signed at the "Shuanghui - China Meat Sustainable Development Conference" in Qingdao on October 17th and declares commitments and calls to other stakeholders for concerted efforts towards promoting sustainable meat production, trade and consumption. This commitments will help ensure livestock is a net positive contributor to humanity and maintains a healthy planet able to meet the needs of future generations. 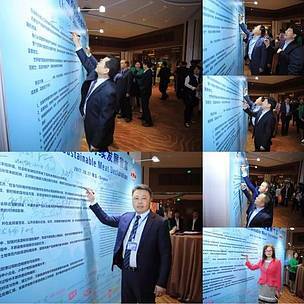 CMA and WWF are also continuing to engage more meat industry players to participate in the Declaration. 1. Continuously move to conserve nature and resources by avoiding land degradation, deforestation and conversion of natural vegetation in the livestock production and feed value chains. 2. Continuously avoid and eliminate illegality during animal husbandry, meat production and trade. 3. Continuously increase resource efficiency including water, energy and land, increase product value and utilization, and reduce negative impacts such as GHG emissions and pollution. 4. Continuously improve traceability and transparency in supply chain management. 5. Continuously improve the assurance of rights and benefits for small & medium companies and smallholders in the supply chain of meat products. 6. Continuously improve animal welfare throughout livestock production, transportation and slaughtering. 7. Strengthen multi-stakeholder dialogue and build consensus, for continuous dissemination, sharing and extension of sustainability concepts, best practices and lessons learnt in meat production. 8. Develop time-bound plans and establish the regular reporting, overall assessment and continuous improvement mechanism to progress the sustainable meat project in China. 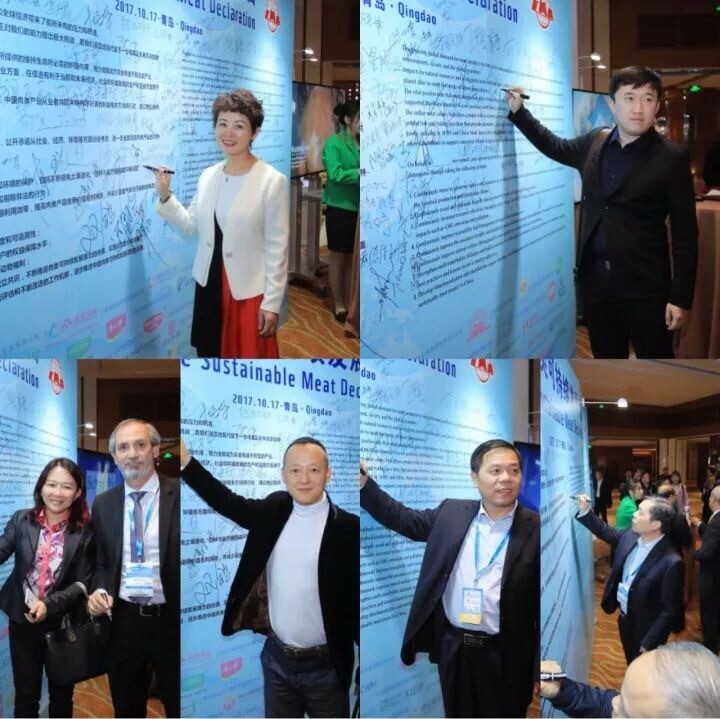 CMA also released its Sustainable Development Planning for the Chinese Meat Industry (“the Planning”) at the same time with more detailed, clearer and applicable objectives and targets which are in alignment with CMA’s vision to follow and implement China’s sustainable development strategy since its establishment in 1992. The Planning is also released based on CMA’s 25 years of experience in national practices and exchanges with global experiences. Through the efforts of the Declaration and the Planning, WWF will join hands with CMA and its members making a contribution to achieving sustainable meat development in China and beyond.